Why buy an Alien Gear 1911 holster (4 inch barrel lengh) instead of the myriad other options? There are a lot of reasons. 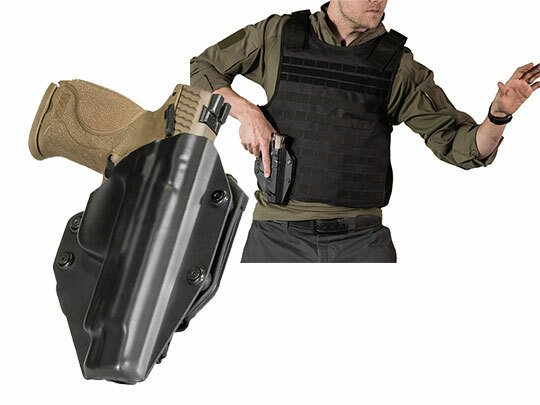 First is our selection of 1911 4 Inch gun holster options, as we offer inside the waistband and outside the waistband models, both of which are perfect for carrying openly or as a 1911 4 Inch concealed carry holster. 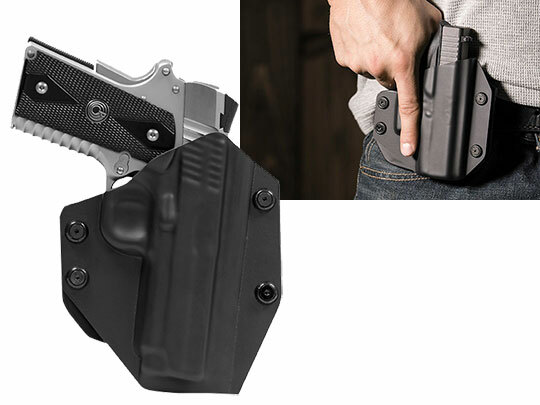 If a 1911 4 Inch IWB holster is your preference, we have two options. 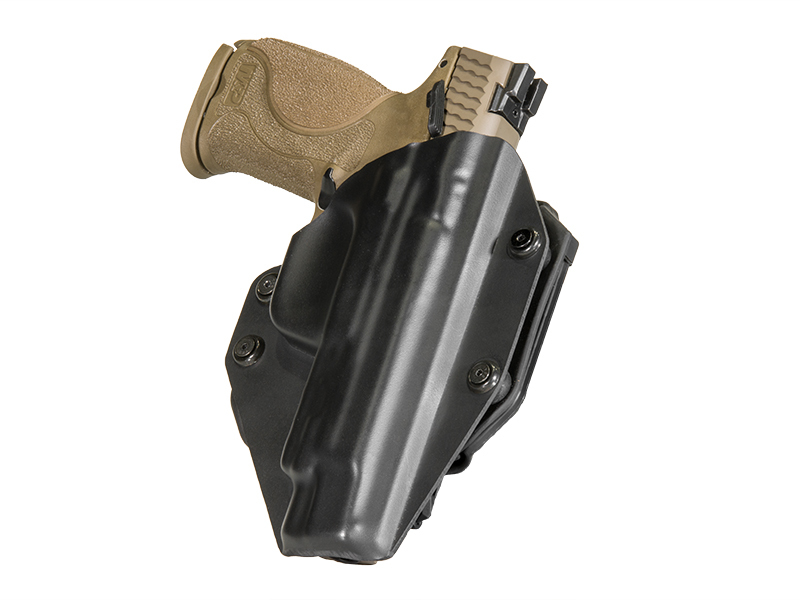 Those who prefer the classic style of IWB holster will love our Cloak Tuck 1.0, a classic leather iwb holster that features the same adjustable clips and custom holster shell our other models do. The Cloak Tuck 3.0, though, is our standard-bearer. It has our proprietary Alien Skin on the front, guarding your firearm from abrasion and preventing any slippage. 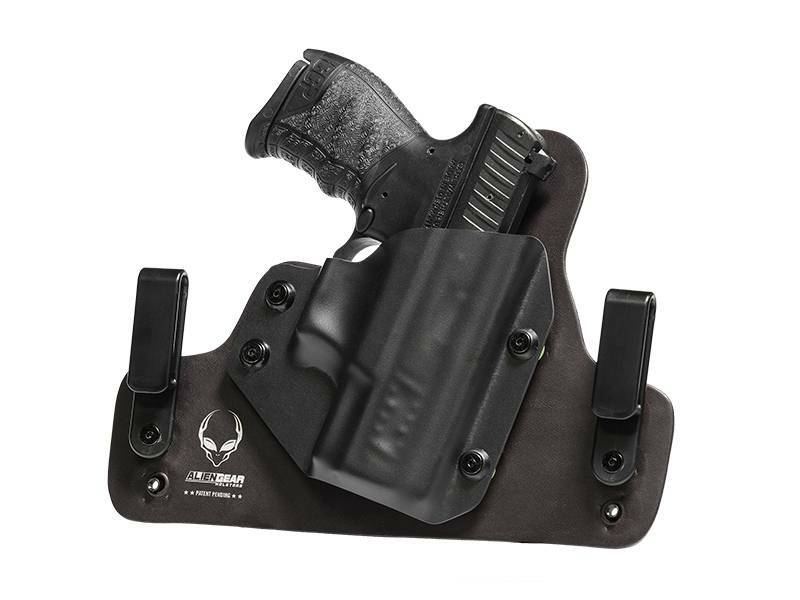 The core of the 3.0 is made by layers of spring steel and tactical nylon, making the holster strong but supple for maximum security and comfort. The back is water-repellent neoprene, keeping you - and your firearm - dry. 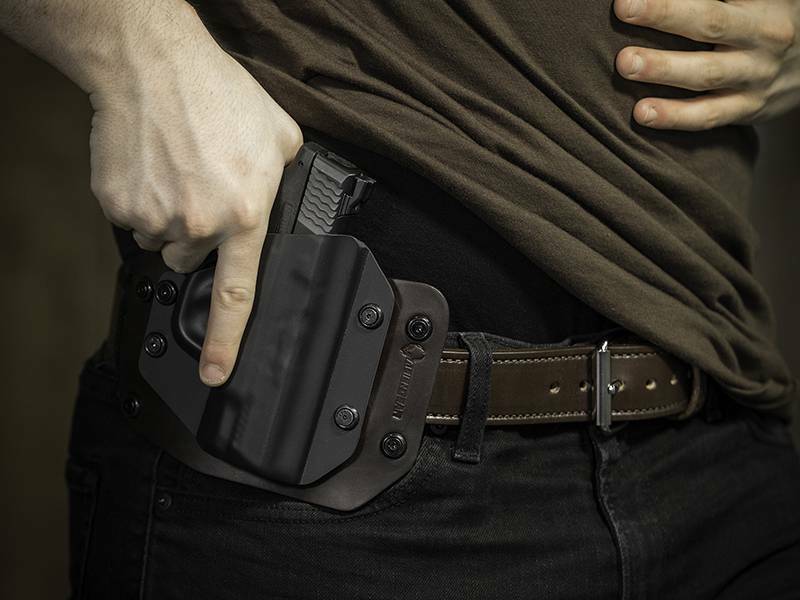 The Cloak Tuck series will serve well as an open carry holster on the hip or at the small of the back. 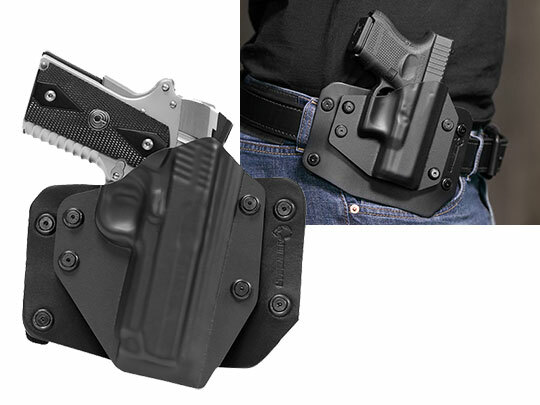 They excel as concealed carry holsters, without the trademark printing of many concealed carry holsters. Prefer your gun to ride on your hip? 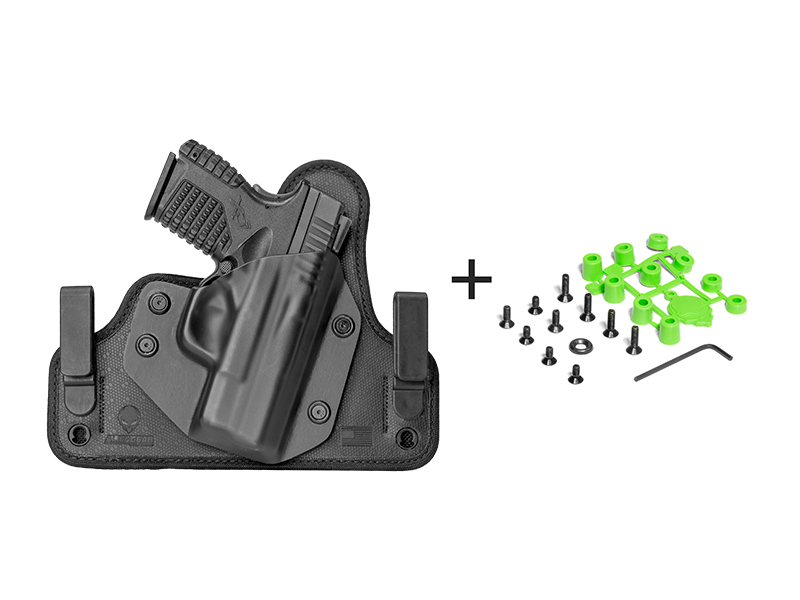 We have you covered there too, as we have a 1911 4 Inch OWB holster too. Additionally, all of our products are made in the U.S.A., and are backed with our Iron Clad guarantee. Our shells and clips can be switched to and from any of our models and are fully adjustable; you can set the ride height and cant to your liking for a bespoke carry feel. It will be hard to find as good a deal for a 1911 4 Inch holster anywhere else in this galaxy.